Fr. 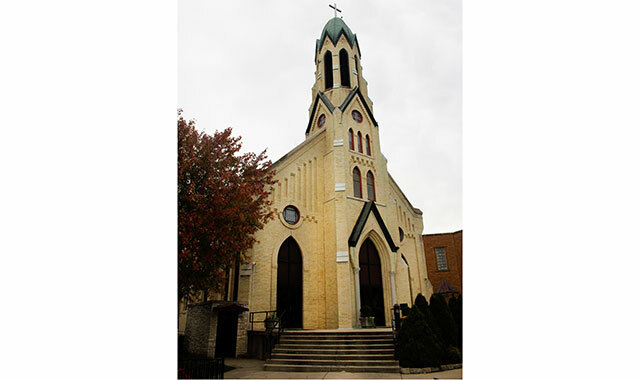 Frederick Kirsch, a German-speaking priest, was named the first pastor of St. Mary Parish in 1894; he led the first Mass in a school. The current church was built and dedicated in 1898. In 1917, a fire destroyed the rectory and damaged the church. The main building was updated, but it was without a rectory until Fr. Charles Nix became pastor in 1921. 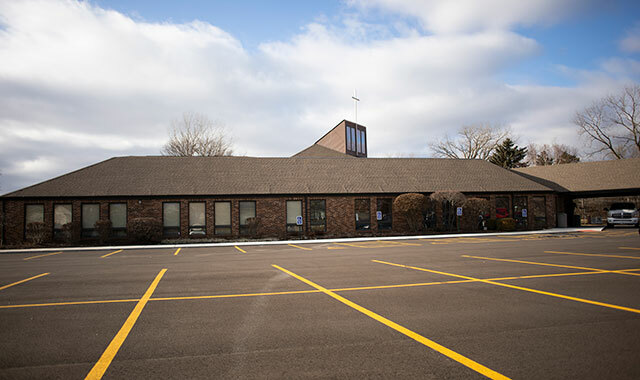 He oversaw the immediate creation of a new rectory and in 1937, he oversaw the construction of a new school designed to serve the parishes of St. Mary and nearby St. Patrick Catholic Church. St. Patrick built its own school in 1951, but 20 years later it consolidated with St. Mary to form Montini Primary Center and Montini Middle School. Today, St. Mary has 649 registered families who actively serve their community. Church members participate in Knights of Columbus, an international charitable organization that participates locally through activities such as providing food baskets during Thanksgiving and Christmas holidays, and organizing a “Coats for Kids” drive. The organization also hosts several key fundraisers, such as pancake breakfasts and flower sales. Mass is Tues.-Fri. at 8 a.m., Sat. 4 p.m., Sun. 8 a.m. and 10 a.m. During the school year, Mass is held Tuesday at 9 a.m. This community church got its start when seven families began regularly meeting for Bible study in the early 1970s. As their home Bible studies grew, they felt called to build a new church. The first Sunday services were held at local elementary and middle schools. When it came time to create their own church building, the congregation hosted a fundraiser dinner that would help to purchase 5 acres of land along West Bartlett Road. Many of the materials used to build the new church were donated or provided at cost. Members and their friends donated much of the labor. Completed in 1976, the building included a large multipurpose room and small classrooms. An expansion in 1988 included a new sanctuary, offices and classrooms. Today, members of Village Church maintain numerous commitments to their community. They partner with Bartlett Elementary School to offer tutoring and mentoring, and they donate Christmas gifts to needy families. The church also maintains a partnership with Ducis Baptist Church in Haiti. Through a branch of the Ducis Ministry, Village Church members sponsor the education of Haitian children for one year. Lead pastor Michael Fuelling leads Sunday services at 9 and 11 a.m. Guests are encouraged to come as they are. Some worshippers wear their Sunday best while others wear jeans and T-shirts. This entry was posted on Tuesday, January 29th, 2019 at 11:59 am	and is filed under Mind & Spirit. You can follow any responses to this entry through the RSS 2.0 feed. Both comments and pings are currently closed.